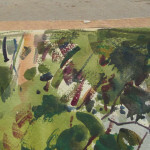 Sheet Size: The sheet has been cut out of square before being laid down. 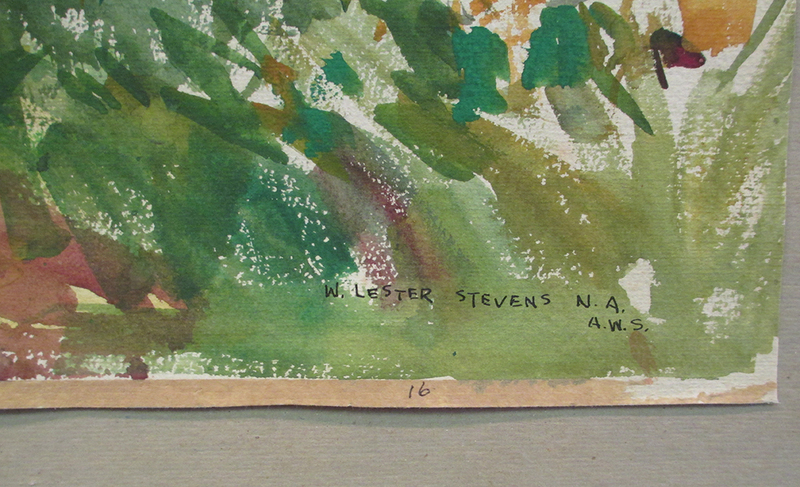 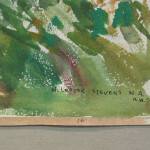 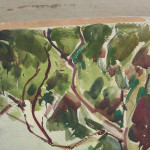 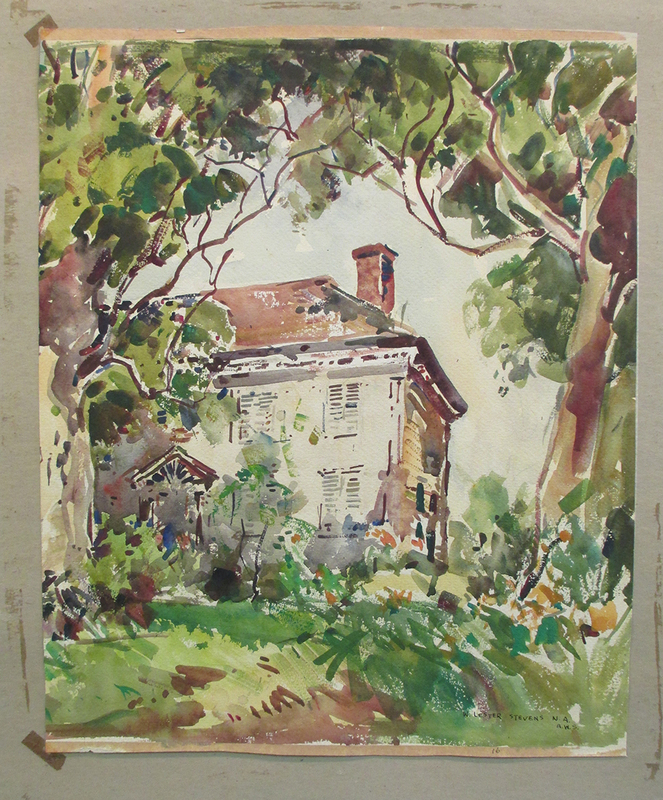 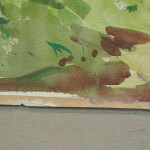 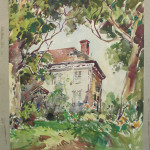 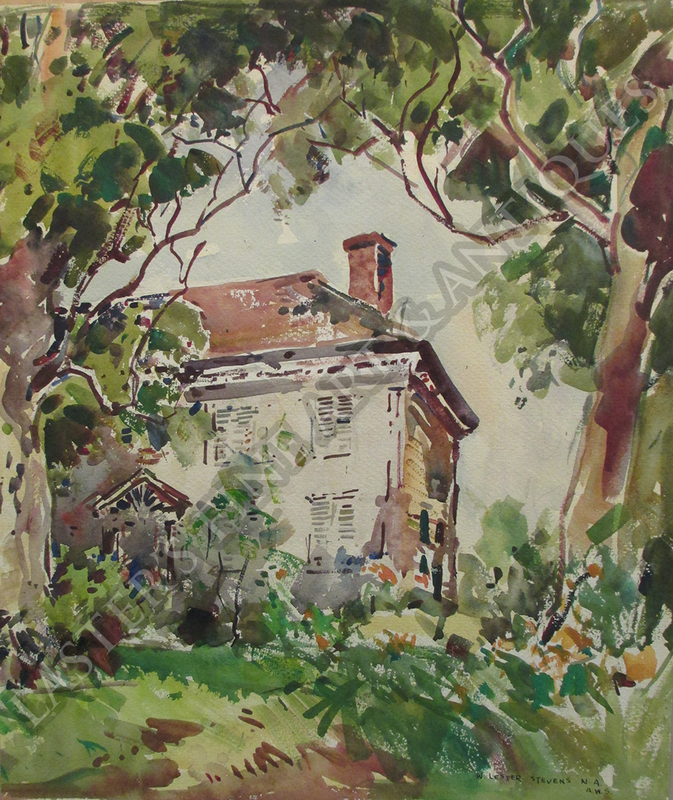 Description: Original watercolor by Massachusetts artist William Lester Stevens (1888-1969). 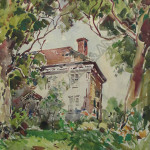 Titled “Old Mansion” and signed lower right hand corner. 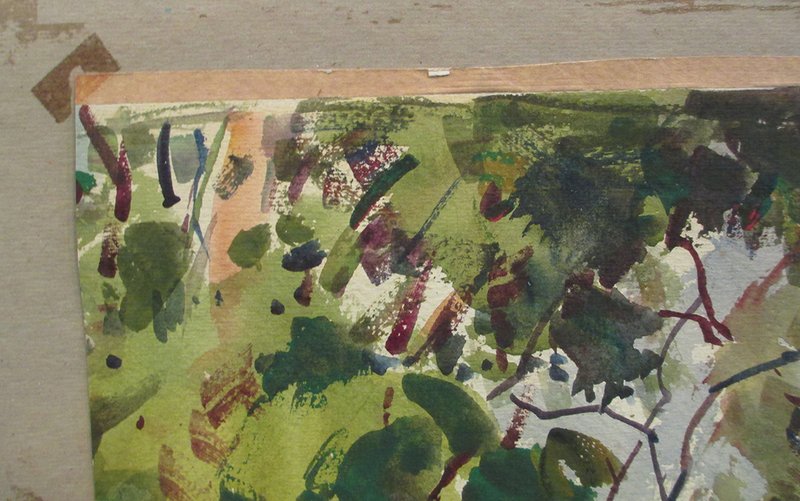 Sheet has been laid down on a cardboard backer. 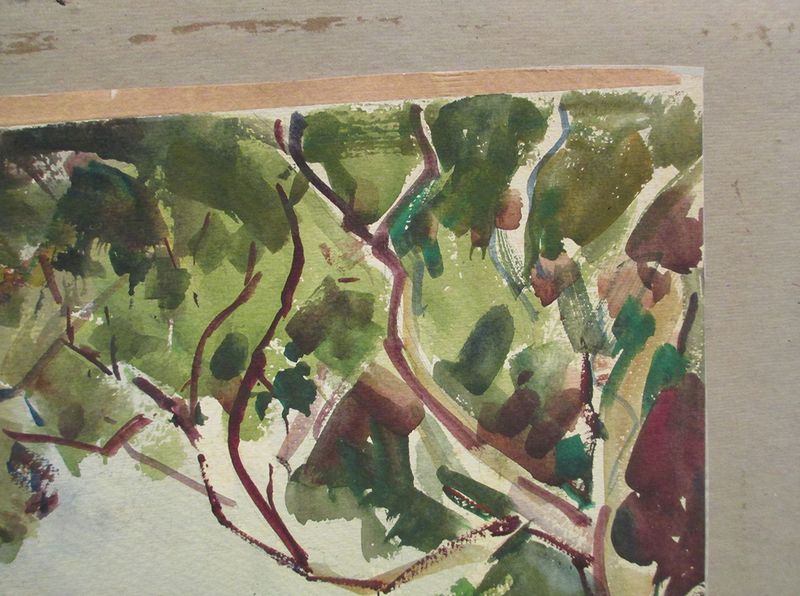 Very minor toning to the paper. 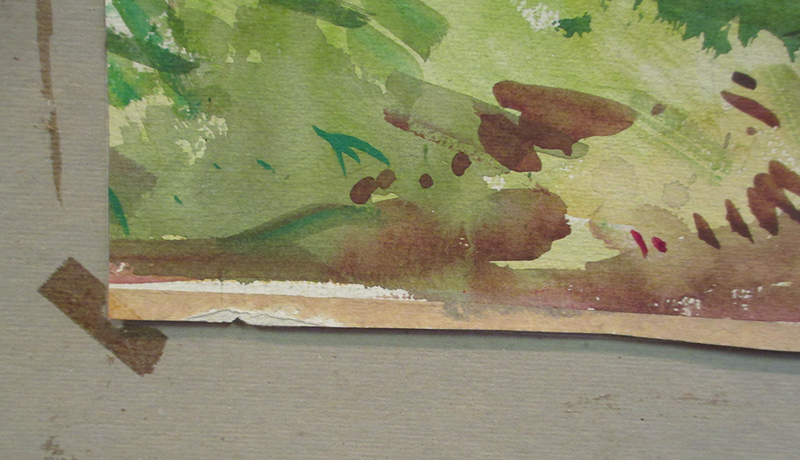 There is paper glued to the sheet on the top and bottom edges, but it looks like it has been there since it was painted.